Happy New Year! We hope you had a great time ringing in 2016! We just know this year is going to be the best one yet! Last year was full of Disney food news and we saw the opening of several great new restaurants at Disney Springs and the Magic Kingdom. But this year is going to be even more amazing with the opening of more new spots at Disney Springs including STK Orlando, The Edison, and Blaze Fast Fire’d Pizza! We’re also looking forward to Tiffin’s at Disney’s Animal Kingdom, and we’ll admit we can’t wait to see what happens with Toy Story Pizza Planet at Disney’s Hollywood Studios! We looked back at the top Disney Food News Stories of 2015! You’ll want to check out our review of Cookes of Dublin! We’re hearing that major changes might be coming to Toy Story Pizza Planet at Disney’s Hollywood Studios! Check out this recipe for the Gingerbread Beignets from Disneyland’s Cafe Orleans. This week’s #OnTheList is all about the Lapu Lapu at the Tambu Lounge in Disney’s Polynesian Village Resort! Cheers! 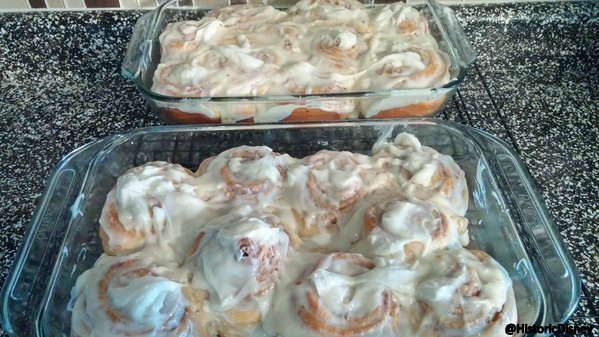 DFB fan @HistoricDisney recently made the old school Main Street Bakery Cinnamon Rolls, using the recipe found here on the Disney Food Blog! Looks like the perfect breakfast treat! 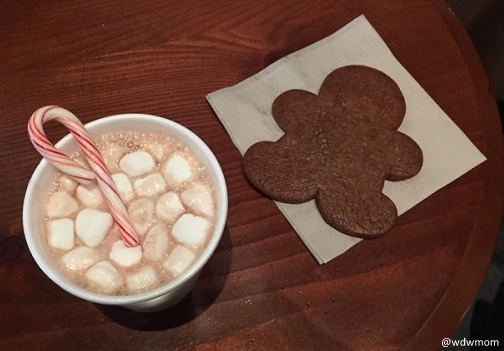 We love cookies and hot cocoa on a cold winter day – or at Aulani! 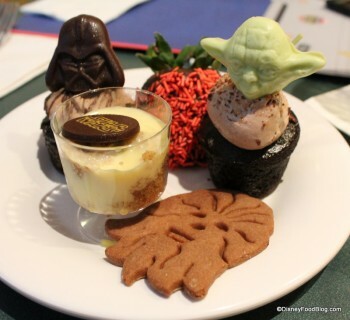 Thanks to @wdwmom for sharing this pic of the sweet treats guests were enjoying in the tropical paradise of Hawaii! We bet these taste better in Hawaii! 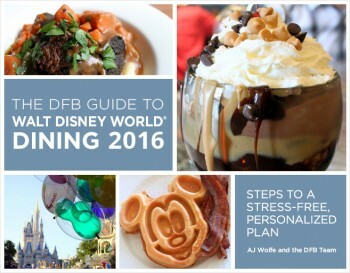 Deal of the Week: Pre-Order The DFB Guide to Walt Disney World Dining 2016 e-book! The DFB Guide to Walt Disney World® Dining e-Book is an instantly downloadable PDF guide, featuring over 490 full-color pages of photographs, information, and advice about our favorite subjects — food and dining in Walt Disney World. Pre-Order the 2016 DFB Guide to Walt Disney World Dining today and use promo code HAPPY2016 for $5 off! A comprehensive index of bars and lounges. An often under-appreciated option for both dining and entertainment, the e-Book devotes a whole index to the topic. You asked for it, and we wrote it! The ability to be read on your mobile device or computer! It’s fully portable — always just a pocket away! 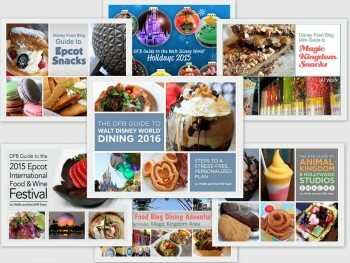 The bundle includes the pre-order of the 2016 DFB Guide to Walt Disney World Dining as well as the 2015 guide as an immediate download — FREE! 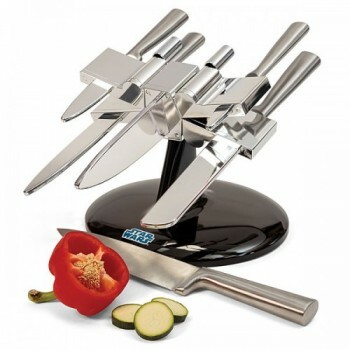 Mickey Fix recently shared this awesome Star Wars X-Wing Knife Block! Coolest Star Wars gift EVER. WDW For Grownups reviewed breakfast at Be Our Guest in the Magic Kingdom. Disney Parks Blog showed us how to make Snowman Candy Apples! Disney Tourist Blog reviewed Landscape of Flavors at Disney’s Art of Animation! Huffington Post shared a story about awesome Star Wars-themed lunches. Oh My Disney shared adorable and edible Disney art!